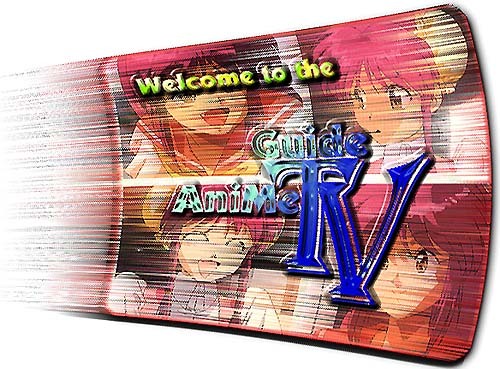 Well, maybe I should welcome you again to the NOT SO 'AniMe' TV Guide. *grin* The reason simply because this guide not only focus on japanese animation, but as long as the topic touches on Japan, you will find them listed here. This includes Japanese dramas, variety shows, news, etc. Hope you enjoy using this TV guide! If you have any good suggestions, contributions, or comments, feel free to email to the WebMaster. Important! Before you proceed any further, please read the disclaimer for this TV guide! P.S. Due to my busy schedule, I will not be able to update this page, so please bear with it for a while. In the meantime, you can check the TCS website for the latest show updates. Sorry for any inconveniences caused. Doumo sumimasen!